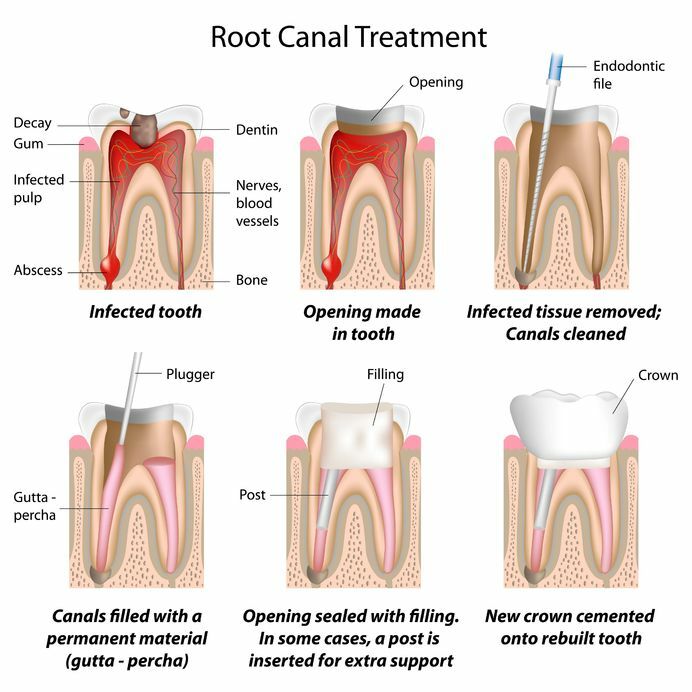 Root canals are an important part of restorative dental care because it keeps the natural integrity of the tooth intact. Round Rock dentist Dr. Louk keeps a conservative approach to his treatments, keeping your natural teeth whenever possible, and root canal therapy is one of the treatments that allows him to give you the best dental care available. Dr. Louk wants your smile to stay healthy, strong, and beautiful so if you think you may need root canal therapy don’t hesitate to contact Rock Ridge Family Dentistry for an appointment!. Sometimes a small amount of bacteria can penetrate all the way into the root of the tooth and cause the pulp to become infected. This can happen due to a cavity or dental trauma that has not been properly treated, and allows the bacteria to work it’s way through the layers of the tooth. The infection is usually very painful and sometimes a blister can form on the gums around the tooth.The only way to clear the infection while keeping your tooth alive is to remove it from the area through root canal therapy. To remove the infection in the root, a special drill is used to drill down through the top of the tooth to reach the area. Dr. Louk will then clean out the infection, making sure it is clear of any harmful bacteria than can cause problems. He will then fill up the hole and top it off to keep the structure of the tooth strong and healthy. In the end, you will get to keep your tooth and your smile will stay natural. Many times the severity of the pain will prompt patients to call seeking help immediately. If you are in such a situation, don’t hesitate to call us right away, and we’ll do all we can to see you as soon as possible. We’ll get you fixed up and back into the world infection free and smiling!